Jeff Bezos, the world’s first centi-billionaire, opened the door to suggestions for how he might make contributions for the betterment of humankind. His most visible large commitment to date has been $33 million for TheDream.us, which provides competitive college scholarships and data monitoring to support undocumented immigrant youth, but what else could he do? In response to a query from the New York Times last year about his philanthropic plans, Bezos welcomed suggestions that would have immediate, practical results. This seems to rule out creating philanthropic warehouses/endowments for private foundations/universities/fine arts, and presumably would not include Neil Young’s proposal for “silver spaceships flying to a new home in the sun,” despite Bezos’s expertise in his Blue Origin project. While each reform proposal (and more besides these) is laudable and potentially beneficial in some way, there is still the overlord problem. Inexorably, the ultra-high-net-worth citizen’s suggestions become commands by making the table, setting the agenda, and using up the civic oxygen of tens of millions of plain citizens (let alone non-citizens). Want to create incentives for boy’s choirs? Within a year, you could give birth to 100,000 boy’s choirs eagerly responding to your RFP. Amazon is a celebrated innovation success: faster, cheaper, a market dominator employing over a half-million warehouse workers, drivers, and others, exploding into an e-commerce supernova (and accidentally displacing thousands of other businesses and stand up retail locations and jobs all over the world). Even if you wanted to be perfectly benevolent, what if your every good deed inescapably contained an adverse consequence—that giving away $100 billion causes untold misery somewhere to untold others? If you are the Bill and Melinda Gates Foundation, and you put tens of millions into persuading public schools to restructure into smaller-sized schools to improve student performance, and later decide it actually doesn’t matter, does it matter? Interestingly, to the American Federation of Teachers, it did matter; when teachers questioned the loyalty of their national organization as overly responsive to Gates Foundation preferences, the AFT decided to quit taking the Gates’s money to save their credibility. Intentions are good, but individual results vary. Regrettable cases of detrimental reliance, where communities change their position to their disadvantage in response to philanthropic incentives, bring to mind an oddly instructive story from Ivan Turgenev’s 1862 novel Fathers and Sons. Turgenev’s medical student Arkady was concerned that a local nobleman had dived enthusiastically into the role of operating surgeon for injured serfs on his rustic estate—despite his utter lack of medical knowledge or training—with dreadful results. …Ha! ha! ha! from philanthropy! Oh, the good (and the ill!) that $100 billion could do! The world around us is changing, with no prime directive not to change it. 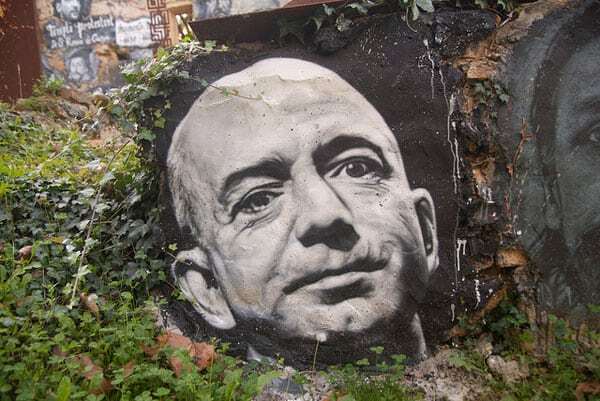 Is there a touchless car wash available to Jeff Bezos, a way a super-mega-donor can alter the orbit of the earth to beneficial effect with no public notice, permanent scratches, or opportunity hoarding? This is the undiscovered territory—to use a grand resource to support small and local general benefit, skipping credit or agenda, not telling people what to think or having them model the future after you. That would be a wonder of the modern world.